Enter your email address to follow this blog and receive notifications of new posts and upcoming meetings by email. Cardiff Indie Authors (CIA) – Introductions – Meet the Authors! A: Join the new Cardiff Indie Authors (CIA) at the Plum Tree Café Bar Canton and meet them! Siobhan and Corinne were delighted to finalise with Vickie, the Manageress of the Plum Tree, that we could use her fantastic venue to be the new home of Cardiff Indie Authors (CIA). Hi, I’m Corinne and Siobhan and I are the co-founders of the Cardiff Indie Authors (CIA). Siobhan and I only met a few weeks ago when we were both looking for a Writers Group. Not finding what we wanted, Siobhan, with the confidence of youth said, “Never mind, we’ll start our own!” My heart sank. Siobhan is ALOT younger than me and by nature I am a joiner not an instigator. Nevertheless we had a few meetings, we got on well and things started to take shape. Before we knew it we had a web-site, e-mail and twitter accounts, and last week an invitation from Vickie at the Plum Tree to use her fabulous venue as the new home for Cardiff Indie Authors. We were up and running. Now all we need are members!!! We do have an ace up our sleeve. Kevin Ashman, a former colleague of mine from a former life, is a VERY successful author! In fact he is even more successful than I realised!! I have just looked at his website at kmashman.com and I am in awe!! More importantly for Cardiff Indie Authors (CIA) Kevin is very keen to support us. He will be a fount of knowledge and we are very lucky to have him on board. If you are serious about getting your work published then Cardiff Indie Authors (CIA) is the place to be. Kevin has generously offered to share his experience and his expertise. We can’t believe our luck! From a personal point of view I am a retired teacher with 30 years experience at the sharp end in both the Comprehensive and Further Education Sectors and I have scribbled away for most of that time too. I mostly write poetry, very unfashionable I am told, and inspirational poetry at that, probably even more unfashionable, although Patience Strong did very well out of it!! Most of the time what I wrote ended up in notebooks at the back of a cupboard but some years ago I did try, rather half-heartedly,to get a traditional publishing deal. The first flurry of rejections was enough to put me off so I ended up self publishing a book with Author House. I won’t go into all the pros and cons of that now, but Author House does not have the best of reputations. Personally, I wasn’t that displeased with their service although I wouldn’t use them again. More of that for a future meeting perhaps!! 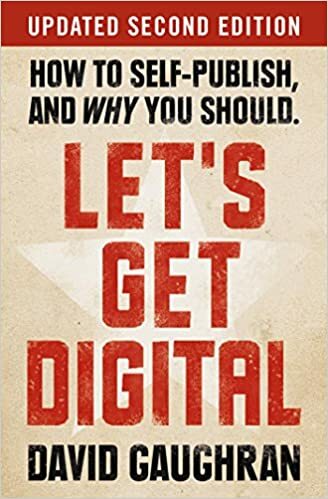 I have written another book and I was all set to gird my loins and try approaching traditional publishers when I read a book which made me look at self publishing in a different light. Somehow in the intervening years it seems to have morphed into something respectable, even pioneering. David Gaughran makes a very good case for “going Indie” and selecting self publishing as a preferred route to market, and frankly I am very pleased to have that option. Depending on who you read having a blog is either essential, desirable, or a time-consuming waste of time. I enjoy blogging but it is very time-consuming. Gaughran takes the view that if you enjoy blogging carry on, but do it for its own sake rather than for what you think it might bring you. He is probably right. It will be interesting to hear what other people have to say. So there you have it, that’s me. I am now on a self-publishing journey. No-one would claim that it is an easy route. There is so much to learn and it is daunting. That is why I would far rather do that learning in the company of others who want to make that journey too. And so that is my hope for Cardiff Indie Authors (CIA). I hope that we can grow an Indie Authors Community right here in Cardiff, a community that will share enthusiasm and experience, creating a supportive environment which wants everyone to succeed. Who knows where it might lead! We look forward to meeting you at The Plum Tree. Everyone is welcome! Posted on December 9, 2015 Categories Books and Resources, Cardiff Indie Authors (CIA), Community Matters, Meetings and Events, Quotations, Self Publishing, Writing GroupsTags Community, Contact details, Corinne Shields, David Gaughran, First Meeting, Introductions, Kevin Ashman, Welcome, Writing GroupsLeave a comment on Cardiff Indie Authors (CIA) – Introductions – Meet the Authors! Q: Where can I meet like-minded writers in a friendly environment? If you haven’t visited already we know you will love it as much as we do. It has the feel of a French Writers Café right here in the heart of Canton. The Plum Tree is committed to engaging with the Community and promotes a variety of fantastic events. We feel very fortunate that we have been given such a warm welcome. If anything is going to inspire creativity, it is the Plum Tree. A big thank you to Vickie and her team. We look forward to many evenings of wine, tapas and discussion in a wonderful creative atmosphere where we can grow the Cardiff Indie Authors (CIA) Community. Amongst its many attractions is Free Parking in the Car Park behind the Plum Tree and good local transport links. Q: I want to write/am writing/have written a book. What do I do now? Cardiff Indie Authors (CIA) is an exciting new Writing Group and you could be part of it! In fact we want you to be part of it. If you want to shape the Cardiff Indie Authors Writing Group the time to get involved is now! If you want to meet with other like-minded writers who want to create a dynamic writers community here in Cardiff the time to get involved is now! If you want to learn about self publishing in a supportive environment that wants everyone to succeed the time to get involved is now! We are very excited to inform you that the date and details of the first meeting will be announced VERY SOON! We have secured a fantastic venue and we are thrilled to have their support. We know that Cardiff Indie Authors (CIA) are going to be made very welcome and we feel we have found a great home for us! In the meantime you might want to check out a book that I read and which inspired me to get involved in the world of self publishing. David Gaughran’s book gives practical, hands-on advice on all aspects of the self publishing process. Editing, cover design, formatting, pricing, marketing strategies, platform building, blogging, social networking and more, it is all here. 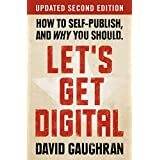 But more than that, David Gaughran makes a very compelling case for choosing self publication over the more traditional publication routes. What a relief for the author. No more banging on closed doors, no more waiting for the dreaded rejection letters, no more putting our fate in the hands of others. It is a breath of fresh air! 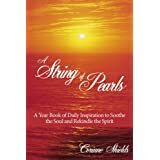 I loved it, it inspired me and if you are interested in self publishing your own book I think it will inspire you too. But we don’t have to do it alone. When I read David Gaughran’s book I was inspired, but I was also overwhelmed. And that is really why Cardiff Indie Authors (CIA) has been born. Yes we can do it ourselves, yes we can go it alone, but how much more pleasurable to do it in company, to share the path with others who are on the same journey. to help us to shape our first meeting. The details and date of our first meeting will be announced VERY SOON! Do you want to be part of an exciting new Writing Group? 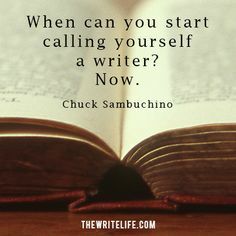 Are you already a self-published, nearly there or wish you were author? Are you ready to explore self-publishing with like-minded writers? Writing has changed. We no longer, as authors, need to wait for the approval of the traditional gatekeepers to get our work out there. The great news is that the publishing industry has evolved. There has never been a better time to be a writer. We can do it all ourselves. We can produce, edit, distribute, sell, market etc. But wouldn’t it be wonderful to work together, pooling our skills and learning as we go in a supportive environment that wants everyone to succeed? Writing can be a very solitary affair. Cardiff Indie Authors (CIA) is a place where we can come together to share our enthusiasm and our experience. We want to take the plunge into the world of Indie Writing. We want to create a community of Indie Writers here in Cardiff. If you feel the same then we would love to hear from you.